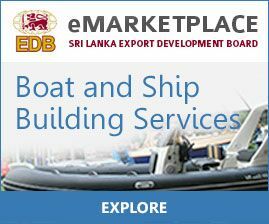 Sri Lanka the resplendent island in the centre of the Indian Ocean has a long and a proud history of boat building. 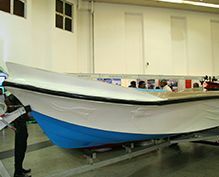 It has a great advantage to become the hub for boat manufacturing in the Asian region due to its strategic location, highly trainable workforce and the labour cost advantage. 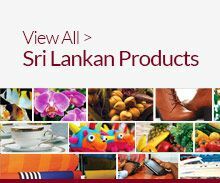 Sri Lanka has one of the best natural harbours in the Asian region and its commercial port in Colombo is rated among the most economical and efficient which offers a complete service to shippers. With the dawn of peace in Sri Lanka, the boom in the tourism industry is opening up a new frontier of leisure and pleasure crafts. The increased interest of the local community in boating activities has created additional market opportunities. The country’s leisure sector records growth where whale watching and other leisure activities contributed by the surge in the tourism industry have a positive impact on the boat building industry.